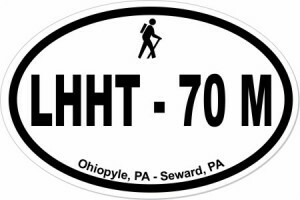 The Laurel Highlands Hiking Trail is a 70-mile continuous footpath stretching atop the Laurel Ridge. It winds from Ohiopyle, PA to Rt.56, near Johnstown, PA. The trail affords some great views of the twisting Youghiogheny River from high above Ohiopyle State Park, to the beautiful Conemaugh Gorge, near Johnstown, PA. It is open year-round.